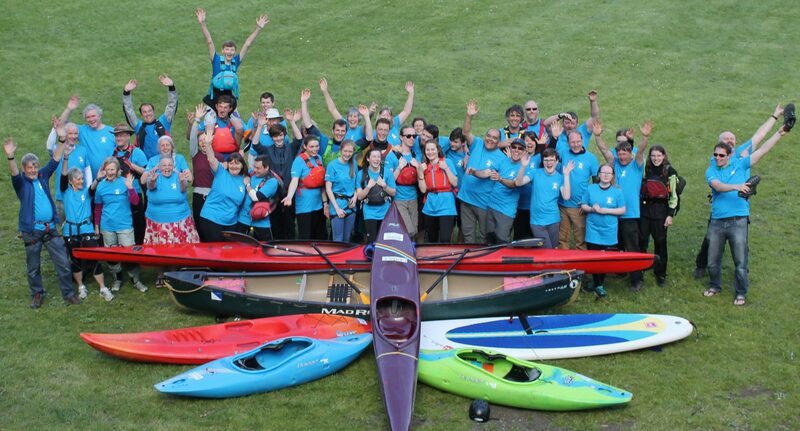 Adventure Dolphin is one of Berkshire’s leading activity charities that is home to a variety of different water and land based sports. Our aim is to offer the local community – young people and adults alike, the opportunity to experience the great outdoors through a series of development courses and club membership run by a team of dedicated volunteers. The competitive arm of the charity is called: Pangbourne Canoe Club giving members the opportunity to train regularly and compete at a local, regional and national level events. The charity runs a series of water and land based courses for beginners, improvers and advanced paddlers/climbers. We are fully recognised by Canoe England as an accredited canoe club and we have been awarded the Club Mark Gold Status. Our team of highly qualified and motivated volunteers enable us to provide a varied programme of activities and events throughout the year. Recognised as being Adventure Dolphin’s greatest asset, our volunteer leaders and coaches are qualified under various national governing bodies to instruct/coach and lead hazardous activities. They have all been checked through the Disclosure and Barring Services (DBS) and hold a current first aid certificate. Training is on-going and the Training Team work with potential leaders to help them gain a range of qualifications, whether preparing to become an outdoor activity leader or wanting to take the next step on their long-term development pathway. Adventure Dolphin is based at the Dolphin Centre in Pangbourne. This enables us to offer a broad spectrum of activities both locally and further afield as we benefit from the use of a purpose built facility and their well-maintained outdoor equipment.